Survey to find favourite local shop - Conservatives in West Worcestershire have sent out surveys to 30,000 local homes asking for nominations in the category of "Best Local Shop". Harriett Baldwin, Parliamentary Candidate for West Worcestershire said, "Throughout the county, there are numerous locally owned shops that we all value. It is such a pleasure to visit market towns like Pershore and Tenbury Wells and to see the large numbers of local retailers. Upton-upon-Severn and Malvern also have many valued independent retailers. There are also some excellent farm shops and other shops in the villages and rural areas. These shops are often small, family-owned businesses. We'd like to know which local shop is your favourite." Shops that receive the most nominations will be featured in the next edition of the constituency newspaper "West Worcestershire Matters". 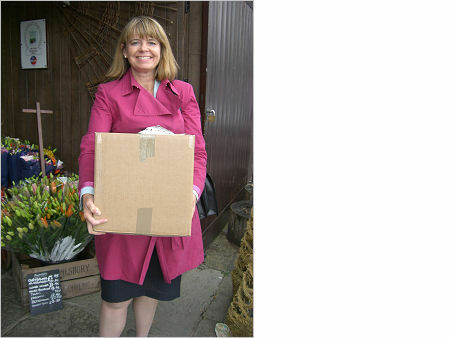 Harriett Baldwin added "We hope the publicity will encourage more local people to use these shops."